The other week we were out playing miniature golf with another young couple who have a baby boy. I was talking with his mom and she was telling me about an outfit for St. Patrick’s Day she had put together for him and how she really wanted a hat to go with it. Of course, me being who I am, offered to make one for him. I really enjoy doing things for others and giving myself a challenge too! 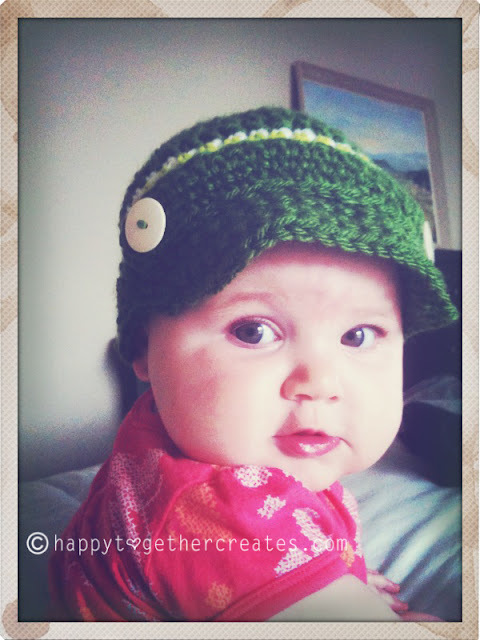 She sent me some pics of what she would like and I found this cute pattern here to create the hat. I used different yarn which made it not come in like the one in the instructions, so I had to take it out and throw in some decreases and all. 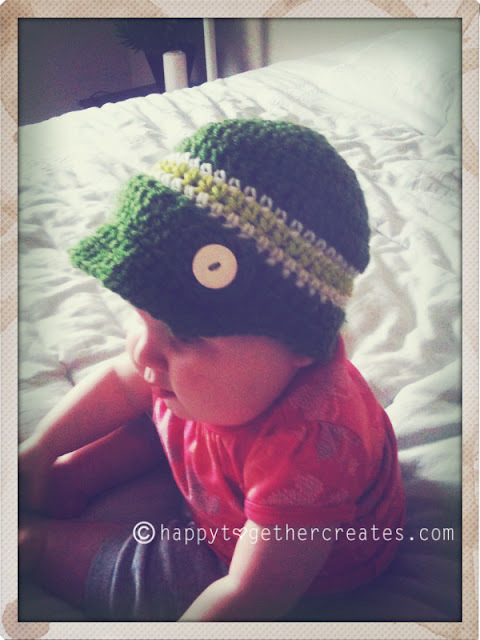 I’ve made enough hats to know where to do that at. I also added the front strap. It’s just a few rows of sc followed by sc around the edges of the whole strap. Little miss E models it well doesn’t she? 🙂 Love that girl! On another note…look at her CHEEKS!! What a sweetie.